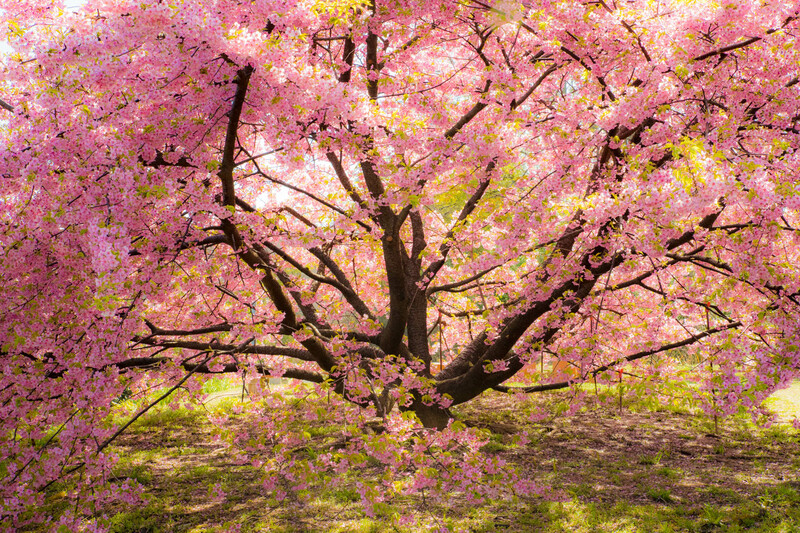 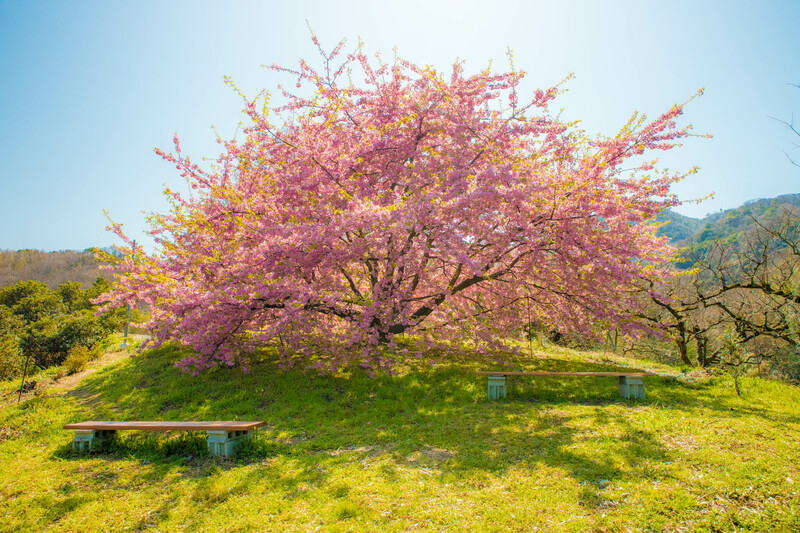 The Kawazu sakura (a variety of cherry tree) on this hill are reminiscent of Japan's ancient beauty. 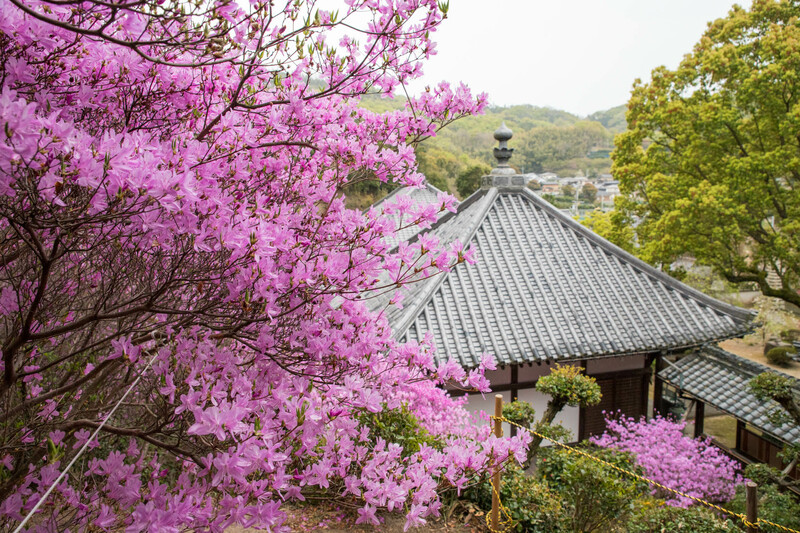 More than 100 rhododendron bushes blossom in this quiet valley temple. 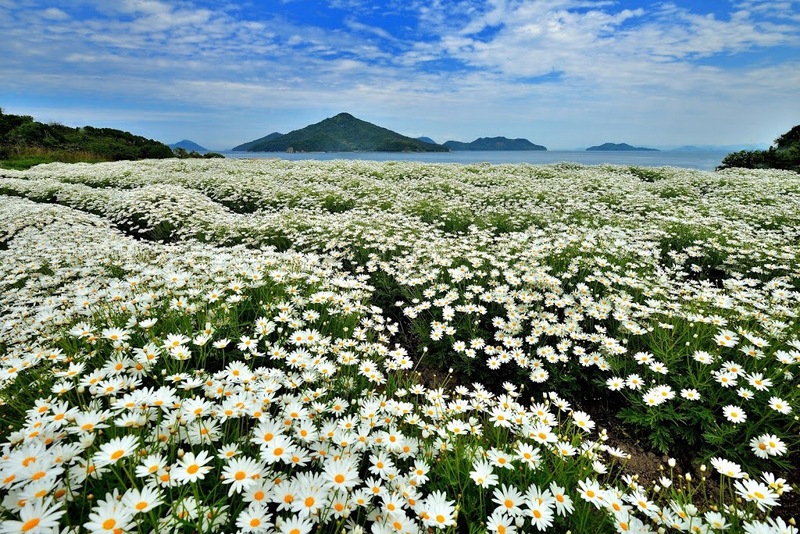 A seaside field filled with marguerites, marigolds, poppies, and more depending upon the season. 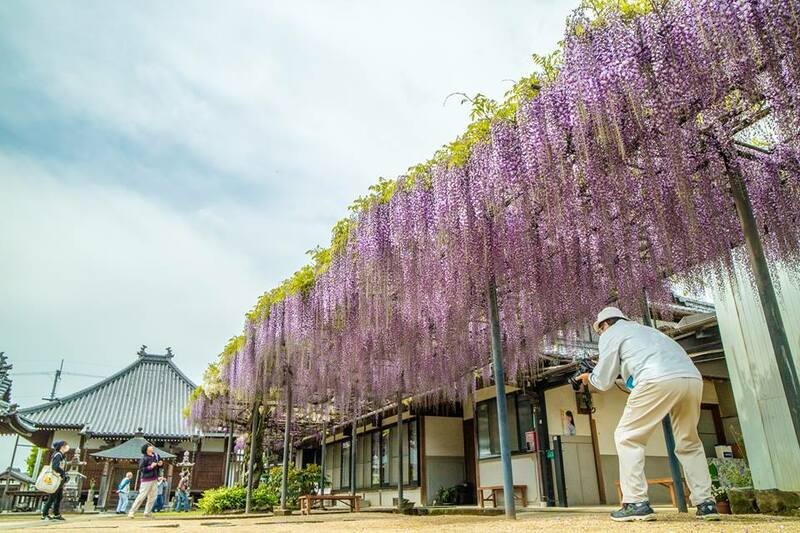 With its beautiful wisteria arbor, Banfukuji Temple is often called "Wisteria Temple." 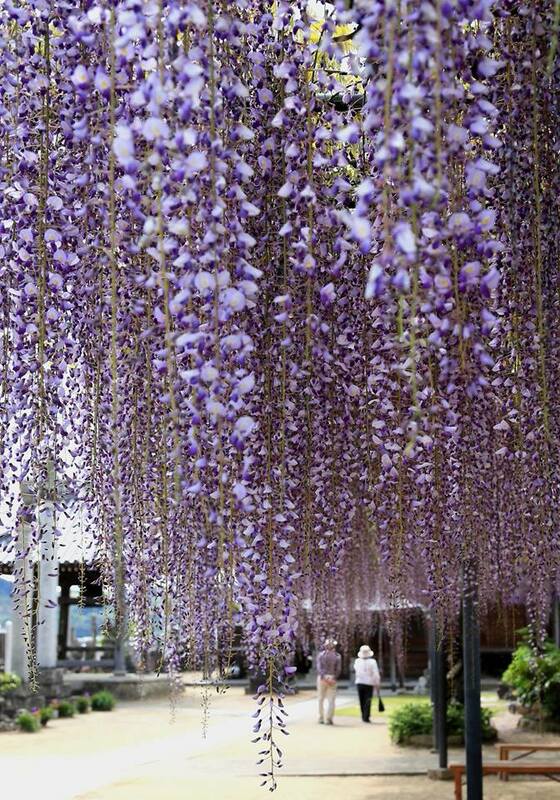 With multiple varieties of wisteria growing together on the trellis, the curtain of blossoms is gorgeous! 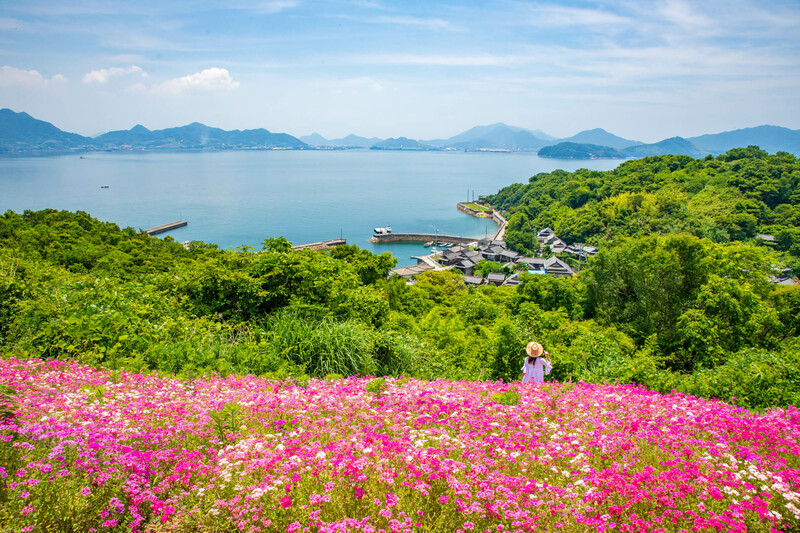 Shishijima Island was once covered in flowers. 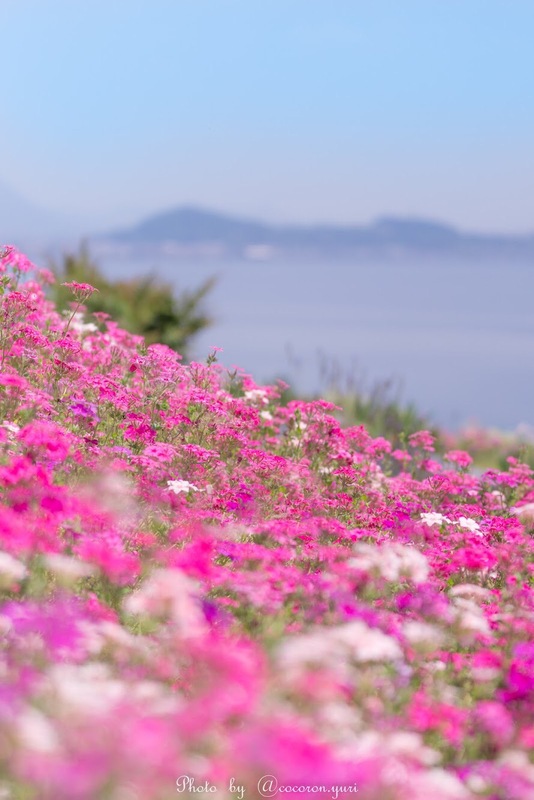 Recently, it has begun to regain its reputation as an "island of flowers" thanks to the locals' efforts. 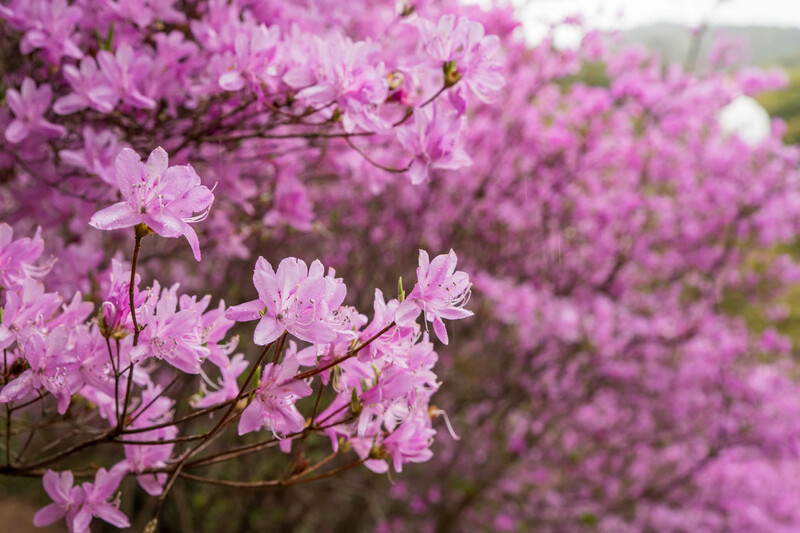 **The locals have put a lot of effort into reviving the plants. 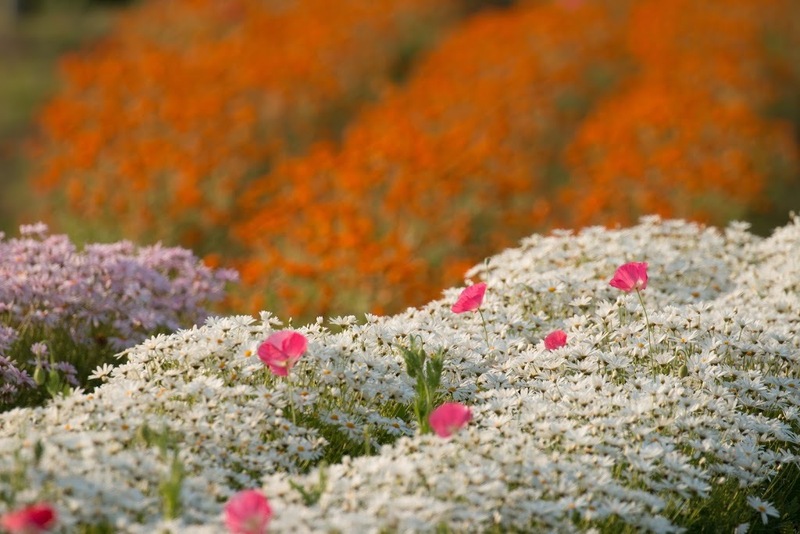 Please stay out of the flowerbeds.